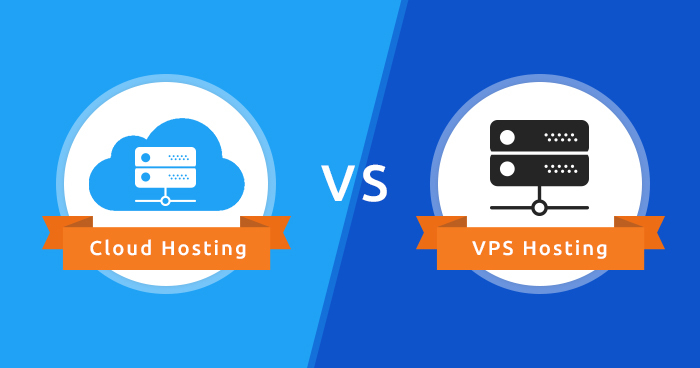 It is important to understand that distinctions between cloud hosting and VPS hosting plans to be able to choose the right solution for your business. VPS hosting is where a physical server gets divided into many servers. Each of these private servers functions like an autonomous server. Even though it may share server space with others on the same physical host, every virtual server will be independent of the others. Cloud VPS hosting is where the virtual servers are hosted on the cloud and not on a physical machine. In this sense, the cloud VPS is quite distinct from traditional hosting solutions. It is a cost-effective method for operating a site; you get to choose the services which you need so that you only end up paying for these and nothing extra. Moreover, with cloud VPS, you are also free to change the requirements at any time to cater to your traffic needs. So, you can scale up and down your resources depending on your growth. • The VPS servers can be rebooted conveniently without affecting any other virtual server on that machine. This is because you are given root access to the server and you are free to install custom software just like you could with a dedicated server hosting solution. But in cloud hosting, there are multiple machines which are linked to one another in a network. They comprise a cloud and act as one entity. These virtual machines will all use identical data stored in different servers throughout the network. • When you think of VPS hosting, you can enjoy customization almost to the extent of a dedicated server. This is possible because of root access to the server and control over the operating system and software. In the cloud, customization will include the freedom to tweak firewalls, network architecture, and IP addresses and load balancing. But because functions must be distributed across multiple servers, it may not be possible to have so much control over hosting-related settings. Moreover, a cloud environment is also more complex and it demands more technical expertise as far as configurations are concerned. • VPS hosting servers are scalable within limits and this depends on the physical server or the host server. You can have access to additional RAM and CPU beyond what has been allotted to you but the physical server can only deliver what it has capacity for, and not more. When you need more than what it can offer, you will have to consider switching to a new plan. This means experiencing downtimes since you must migrate to a new provider. Cloud hosting, on the other hand, is far more scalable and you can provision new resources in real time. The data storage is unlimited and you have access to a huge network of servers which is ready to be used whenever the site experiences traffic surges. • In terms of performance, VPS hosting can guarantee a fixed performance level because it has guaranteed resources. But, if there is a lot of demand on the physical server by another virtual server, then the performance may get affected. This happens particularly when you both feel the need to get more resources simultaneously. So, with VPS hosting there can potentially be a single point of failure. When the physical machine fails, all the virtual machines will fail. But with cloud hosting there is no one point of failure. Since there are multiple servers in the network, even if one fails; there are always other servers on standby and responsibilities can be instantly migrated. • Where security is concerned, VPS hosting is nearly as secure as dedicated server hosting. This is because every virtual server is independent of others on the same physical server. However, inadequate security measures undertaken by any of the others can at times affect security of a virtual private server. The chances of this happening are quite less as compared to chances of security breaches in shared hosting. Security in the cloud is quite high because here also, the server will be completely separate from the other clients just like in the case of the VPS. But web-based structure of the infrastructure will make it more prone to attacks as this is physically distributed across many servers and therefore harder to secure. Moreover, as the data gets stored in multiple locations it is not easy to comply with certain regulations on data integrity. • In terms of costs, VPS hosting can guarantee cost savings because they are lower priced compared to cloud hosting. Since there are guaranteed server resources, clients can expect a predictable monthly charge. In cloud hosting, you pay more because you pay for the uptime guarantee, the complex networking and the hardware. Costs can be unpredictable because of sudden traffic spikes.